Nikon has announced the latest edition to their upper entry-level DSLR 5000 series with the addition of the Nikon D5500. Given Nikon’s history of progressively incrementing each addition to the series by 100, the jump from D5300 to D5500 suggests at first glance a significant improvement. Well the Nikon D5500 is still quite similar to it’s predecessor. They both wield a 24.2 MP DX-Format CMOS sensor without an Optical Low Pass Filter (OLPF) that is wired to Nikon’s Expeed 4 image processor. They also have the same video, metering and autofocus systems as well as WiFi built-in. The D5500 now offers the same Flat picture control mode as seen in the Nikon D810 and D750. It provides minimal dramatization while preserving the material characteristics in the image. Vignette Control has also been added and the ISO Sensitivity Range has been bumped up to 25,600 when compared to 12,800 in the D5300. While both cameras shoot at 5 fps, the D5500 is able to do Unlimited Continuous Shooting when using CH or CL release modes. 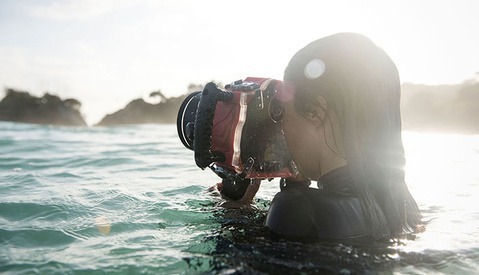 The shutter speed however has to be set at 4 seconds or slower and the duration of the continuous shooting depends on the power source and memory card. This feature can be quite useful for time lapse photography where a large number of continuous frames is always needed. Speaking of time-lapse the D5500 now offers a new Interval Timer mode that allows it to take up to 9,999 shots in intervals determined by the user. There is also an Exposure Smoothing mode which is similar to that in the Nikon D4s which automatically adjusts the ISO between intervals to create an even, less jittery exposure throughout the sequence. While the LCD monitor is the same 3.2 inch swivel style size as the D5300, the Touchscreen Functionality is certainly a huge upgrade. With the new touch capability the user can now control menu navigation and perform pinch, zoom and swipe gesture controls during image playback. To go along with the new touch screen the D5500 also features an eye sensor which disables the touch LCD when the view finder is in use. The D5500 also features an updated LCD Info Screen which is identical to that of the Nikon D750. While the scene modes are the same as its predecessor, the D5500 offers 3 new effect modes. 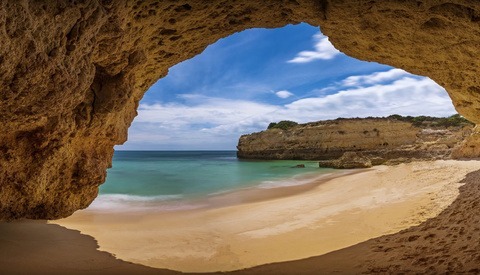 Super Vivid, POP and Photo Illustration gives users a bit more options in expressing their creativity through photos. The Nikon D5500 is a tad lighter only tipping the scales at 14.8 oz approximately an ounce lighter when compared to the D5300’s 16.9 oz. Although a relatively minor upgrade the in Interval Timer with Exposure Smoothing is certainly going to appeal to someone looking for an entry level camera for time-lapse photography. 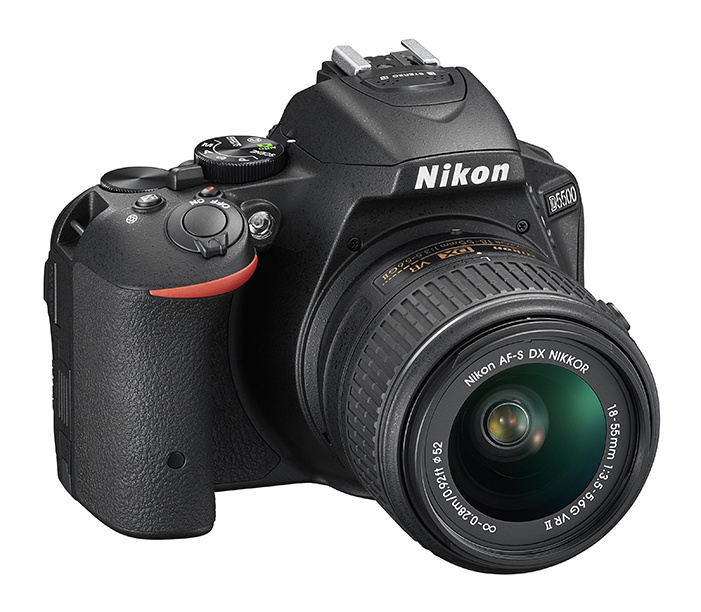 The Touch LCD will also put a smile on many user’s faces as it will make the Nikon D5500 a more intuitive camera to use. The D5500 will be offered in three kit options: body-only for $899.95, with the AF-S DX NIKKOR 18-55mm f/3.5-5.6G VR II for $999.95, or with the AF-S DX NIKKOR 18-140mm f/3.5-5.6G ED VR for $1,199.95. 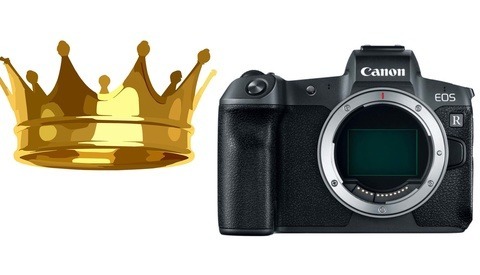 The D5500 will be available in early February in black or red body options. 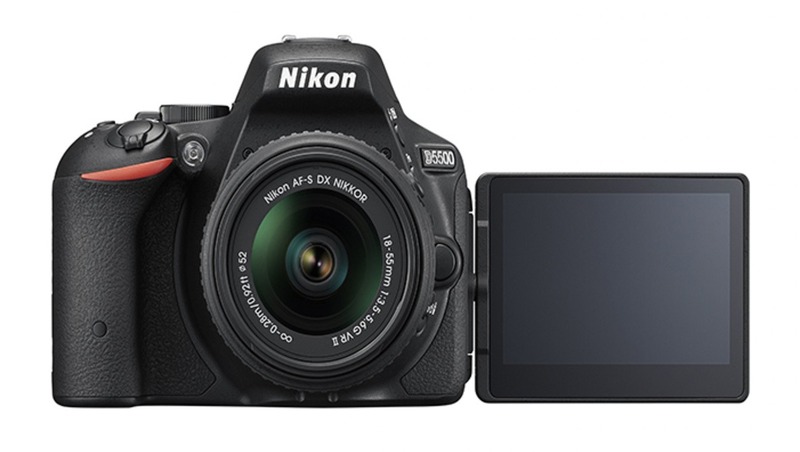 For a full comparison sheet between the Nikon D5500 and D5300 click here. Arthur, a native of the tiny Caribbean island, Anguilla, finds pleasure in creating images that motivate and inspires others to be creative. Now residing in Saskatchewan, Canada, portrait and fashion photography makes up the majority of his portfolio. The lack of a 5400 is due to cultural reluctance to name products including the number 4. Don't think there is any significance beyond that, sorry to disappoint. Cool, I honestly wasn't aware of that. I looked it up after. Oh wow, thank you for pointing that out Chuck and thanks Nick for the link! It also includes the Nikon Creative Lighting System Commander Mode which was previously only on the D7000/D7100 and up. The new Sony a7000 will probably have the same sensor and it will be in a much smaller package. Nikon though does a better job with its jpgs. This may be a Toshiba sensor however. Nikon does have excellent image quality out of the box regardless. Hmm, I thought Nikon used only Sony sensors? When did Toshiba become a player in this market? I know the D3xx series uses a Toshiba sensor, I'm not sure if the D5xx series uses a Toshiba or a Sony sensor. "The D5500 now offers the same Flat picture control..."
Unfortunately they don't offer better video controls. If this camera is anything like my D5100, you can work around that problem, but Nikon really needs to get with the program and offer full control of ALL their DSLRs in video mode. Wi-Fi I would think is the more practical out of the two, and fortunately if geotagging is still important to you, you can still geotag images using your smartphone and geotagging software.